In my latest PopMatters piece, I make the whole world sick. In other words, I find a way to connect a board game to Donald Trump's fear/hate fueled presidential campaign. No, really. This past week, Pandemic: Legacy earned four Board Game Geek awards, including Game of the Year, Best Strategy Game, Best Thematic Game, Best Strategy Game, and Most Innovative. The game deserves all the accolades it receives, and for good reason. Pandemic: Legacy completely upsets common assumptions about what board games can be. The oft-discussed element of permanence is what first grabs people attention. It's strange to take a sharpie to a board game for the first time. When you rip up your first card in entirely it feels blasphemous, which comes with its own feeling of illicit excitement. It's thematic strength though isn't just found in leaving your mark on the game. Rather, I think its strength comes in the compartments that hide sudden changes in rules and context. A sense of surprise is something few board games create. Randomness can help if, say, a certain card is drawn only once in a hundred games. That one game can feel surprising. Other board games like Betrayal at House on the Hill or Dead of Winter create surprise by including scenarios or rule changes when certain conditions are met. 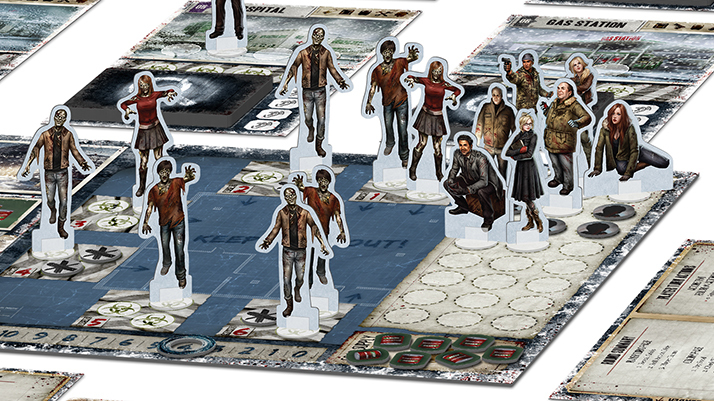 For example, an event card in Dead of Winter might only trigger if a specific character travels to a specific location, like the school or the gas station. These context-specific mechanics let designers create narrative moments bound to gameplay decisions. They're not always the most interesting or complex stories, but clearly surprises can be powerful. Pandemic: Legacy is an extreme case, but I hope its design lessons spread far and wide, especially if they lead to more politically charged board games.